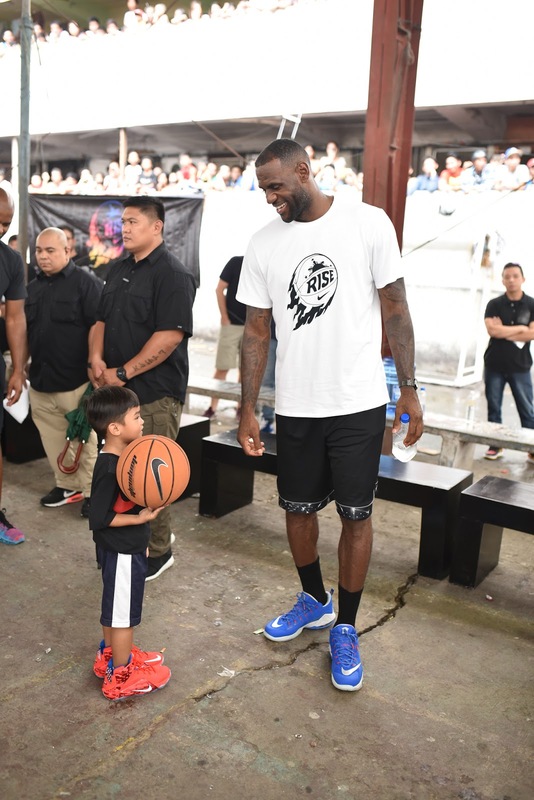 Manila, Philippines, August 21 2015 – Basketball superstar LeBron James was in Manila for over 2 days from August 20 to 21, as part of the LeBron James Rise Tour to mentor the Rise players, inspiring them and young Filipinos to realize their true potential. 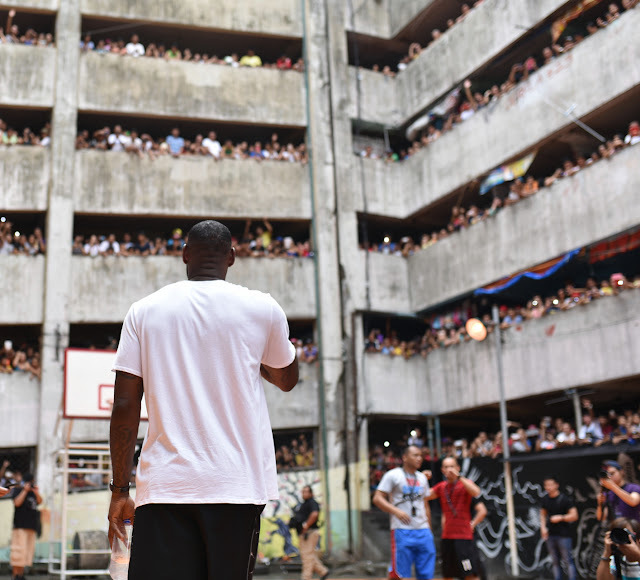 During his visit, James met with local street-ball children, played at an exhibition game and launched the new LeBron 12 Low. He also introduced the final 12 Rise players who will play their final game as part of the Rise program on August 23, 2015. 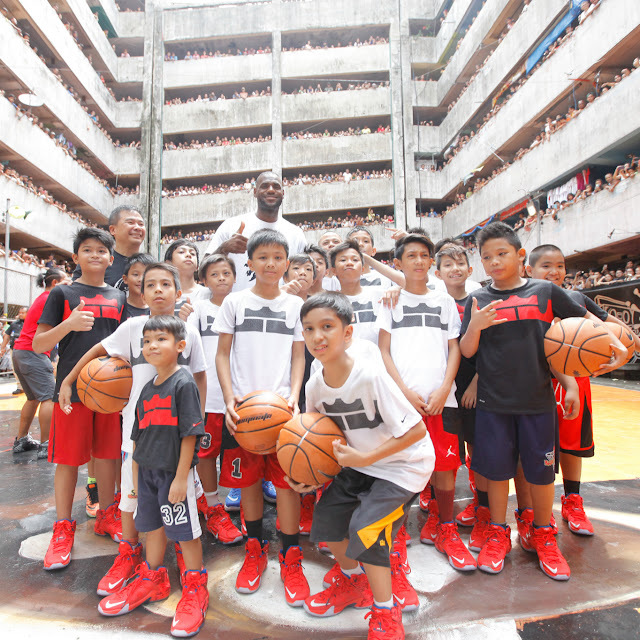 The four-time NBA Most Valuable Player and Nike Basketball athlete unveiled the selected 12 players in an exhibition game against select Nike athletes in front of a live Filipino audience. Imparting the message to Rise Beyond Belief, LeBron joined the Rise players in the locker room before the game, and shared his favorite pre-game ritual and the songs he listens to, to get pumped up before games. The two-time champion wanted the players to experience his unique approach to every game he plays. He later joined them on court and showed everyone his set of skills and talents that makes him one of the best players in the world. James’ message was simple and clear “…more than teaching them skill sets, it’s about the inspiration that comes behind it. The stories that I can give them, tell them about the game. It’s up to them to use that, to better themselves. That is more important than anything else”. 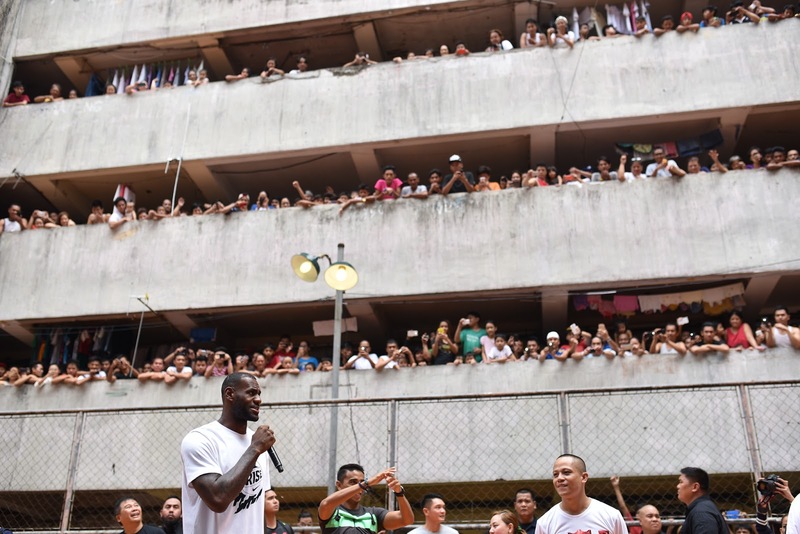 The two-time champion visited and met with young children and youths of the Tenement Court, a community in Western Bicutan. These children embody the true spirit of Filipino street-ball, playing passionately despite not having the best court, all that matters is the net and their passion for the game. 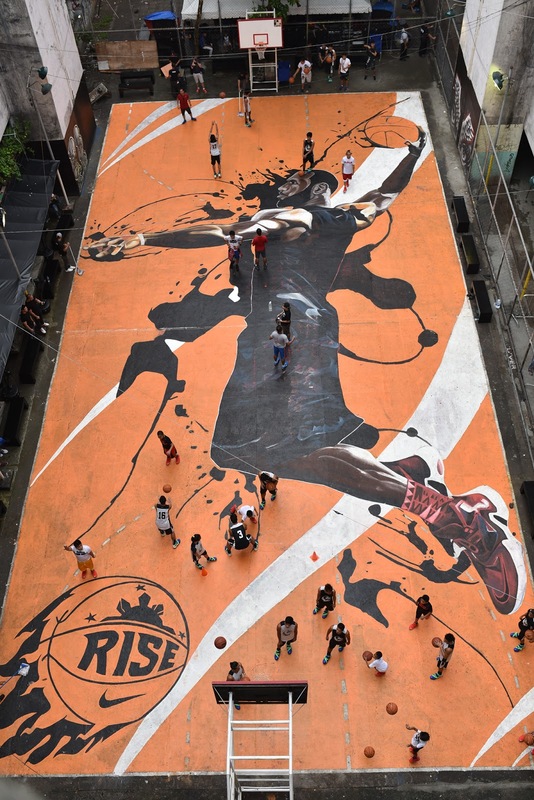 Tenement residents will have their own lasting legacy of the four-time NBA MVP with the newly refurbished hardcourt that sports a full image of LeBron James in action. 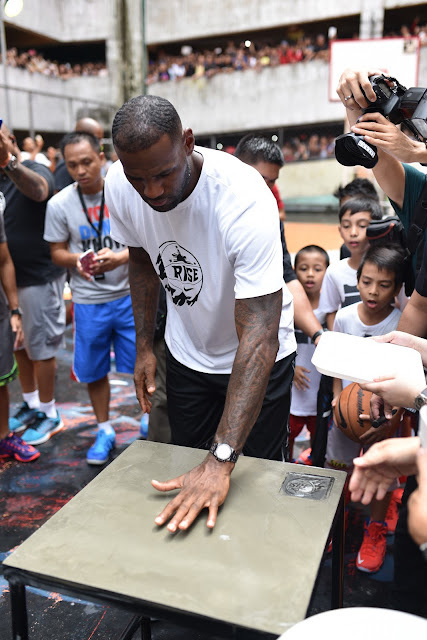 After his Tenement visit, James went to the Nike store at Bonifacio High Street to unveil the LeBron 12 Low that is part of the special Rise Collection. The shoe design is Filipino inspired. It sports a distinct Filipino blue, a reflection of the blue on the national flag. It also features Filipino elements, and has speckles of the other colors of the flag, red and yellow around it. It delivers a simple but bold message of Filipino pride. The shoe was designed by part-Filipino Nike designer Erick Goto. This was James’ second trip to the Philippines since he first visited in 2013. Catch LeBron James in the final episode of Rise and be inspired by his Rise legacy on Sunday, August 30 at 6 PM, on TV5. FOR MORE ON THE KING, CHECK OUT OUR STORIES ON LEBRON JAMES! FOR MORE ON NIKE, CHECK OUT THIS LINK!